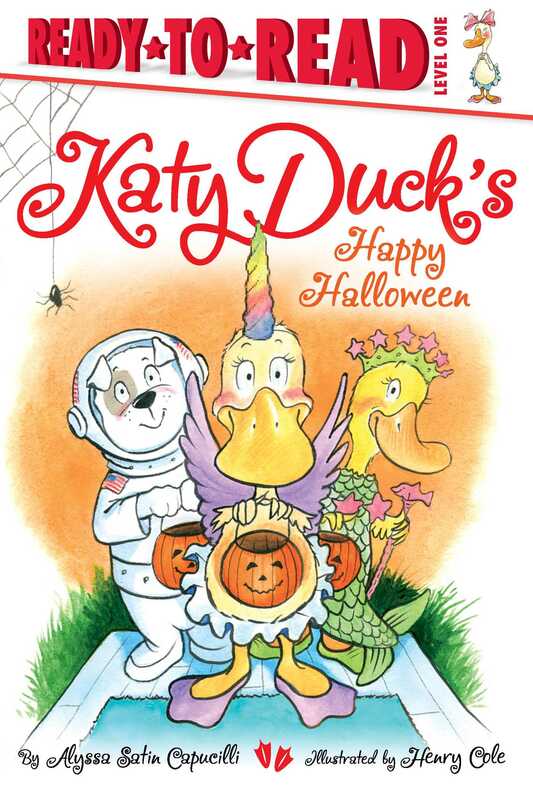 Katy Duck goes trick-or-treating in this Halloween-themed Level 1 Ready-to-Read story for beginning readers. And no one does have a costume like hers, but when Katy sees Alice Duck dressed up in a shimmery, glimmery outfit, Katy wishes she was shimmery and glimmery, too! Suddenly, trick-or-treating doesn’t sound so fun. But with a little help from Alice and Ralph, Katy realizes that her costume is still very special. And besides, she can be shimmery and glimmery next year! With sweet text from bestselling author Alyssa Satin Capucilli and bright, friendly illustrations from Henry Cole, this Halloween-themed Level 1 Ready-to-Read story is sure to become a favorite for beginning readers.